It was a busy month on the road for the Nebraska coaching staff as they were all over the country checking out talented prospects for future recruiting classes. The staff was aggressive in not just getting 2019 offers out but also setting their board for 2020 and even laying the groundwork for the 2021 class. The next step is camp season which starts June 2 with a youth camp in Lincoln on the same day as the Adidas Texas A&M-hosted satellite camp. 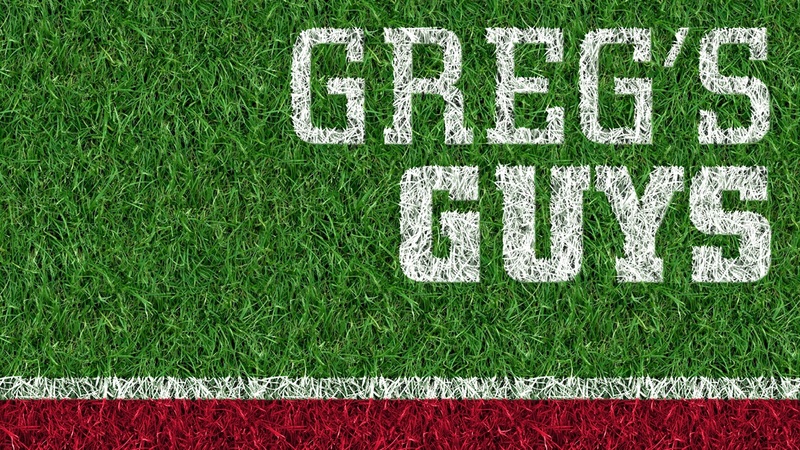 In this edition of Greg’s Guys, you will notice some big changes as there has been movement with guys staying on the list and a few additions. This is also marks the first time I’ve ever included a committed player to the list. The list is fluid and attrition is creating new needs so let’s get to it! Henrich’s recruitment has not really slowed down in the last month as he continues to add national offers. That may actually be a good thing for Nebraska as they continue to let Barrett Rudd, Scott Frost and Erik Chinander build the relationship. Henrich is the type of player that you can build a defense around and that’s exactly what the Huskers are trying to do with the Omaha Burke star. He still plans to make a summer decision but expect him to remain in the number-one spot until he makes an announcement. The Kansas prospect has been made a huge priority by the new staff at Nebraska and received lots of attention during the evaluation period. The Hicks family likes Nebraska and the staff but the staff change set the Huskers pursuit of him back a bit. Frost and company are gaining ground and would love for Hicks to camp in Lincoln during June. That would be a crucial step in making sure they get one of his five official visits during the season. Robinson is the biggest mover on the list this month as he shoots up the list to No. 3. The defender has a great relationship with Nebraska following his two trips to Lincoln this spring including the spring game. Robinson did a pick up an offer from Stanford and Penn State in May, but this feels like a Nebraska, UCLA and Oregon battle that the Huskers are in great position to win. He has the frame and versatility to play anywhere along the line for Mike Dawson. The Omaha Burke standout continues to be the tight end that the Huskers are recruiting the hardest. His recruitment will likely go into the season but I believe Nebraska is fine with that based on their ability to build relationships. The Huskers have done a good job recruiting Hickman who has a great frame (6-6, 195) to grow into a rush defensive end or be a hybrid tight end in college. Johnson is one of the top players in junior college and at a huge position of need for the Huskers in 2019. Pass rush is still a concern and Johnson has the ability to make an impact day one. The 4-star outside linebacker visited Nebraska in May before visiting Georgia and Minnesota. He’s originally from Minnesota, but they may be late to the party since they took their time offering for some reason. He’s a great athlete that Jovan Dewitt and Ryan Held would love to add to the team. Eaford is another prospect that plays defensive end in high school that Nebraska has identified as someone who can move to outside linebacker. For being a 4-star prospect, his recruitment has been a little under the radar but he visited Nebraska for the spring game and has a great relationship with outside linebacker coach Jovan Dewitt. He holds more than 40 scholarship offers at this time. Coming out of spring ball Newsom turned up on every “most likely to commit” list written about Husker football. He has yet to commit but hasn't been actively looking around either. He still remains a great fit for what Nebraska wants on their defensive line. Nebraska remains in a strong position to steal a good player out of Iowa. We have a new quarterback on the list. The 4-star QB is a dynamic player and Nebraska is quite high on him. His high school coach raved about his intangibles when I spoke with him. A visit needs to be set up to take things to the next level but there is a clear fit between the Oregon prospect and the Nebraska’s offense. For the first time in the history of this list, I’m including a player who is committed to another school. When I spoke with Henry following his visit earlier this month, he was very positive about his visit even setting a tentative official visit date. Twelve hours later, he visited Ole Miss and committed to Tennessee shortly after that. Henry has expressed interest in still taking trips despite his commitment and the lines of communication are still open with him and Nebraska. Wright (6-3, 190) is the son of former Blackshirt Toby Wright so he is plenty familiar with the traditions here and told me that he was floored and speechless when he got the offer from defensive coordinator Erik Chinander. Wright has some major offers from Arizona, Arizona State and Louisville but is planning a visit during the summer. Wright is a very good prospect that could give Nebraska the first of a few true corners in the 2019 class.